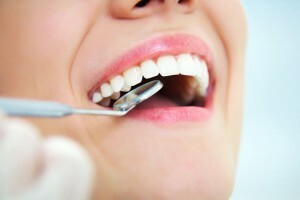 One of the most common oral health problems a person can face is periodontal disease, also known as gum disease. A majority of adults over 35 struggle with periodontal disease in some capacity. It’s also the number one cause of tooth loss in adults. During every general checkup at Ascot Aesthetic Implants & Dentistry, Dr. Angela Ruff will look for these symptoms. Giving patients attentive, personalized care means looking closely for these telltale signs as often as possible. What if Dr. Ruff finds one of these symptoms? That’s where periodontal therapy comes in. With personalized periodontal therapy, Dr. Ruff can help you treat your symptoms before they have time to worsen. Treating periodontal disease early is important; if left untreated, it can have a powerful impact on oral health, but it can also have a serious impact overall health. Are you experiencing any symptoms of periodontal disease? Call Ascot Implants & Dentistry to schedule a consultation appointment with us. Dr. Ruff offers personalized periodontal therapy to patients from Fayetteville, Spring Lake, and all of Cumberland County.